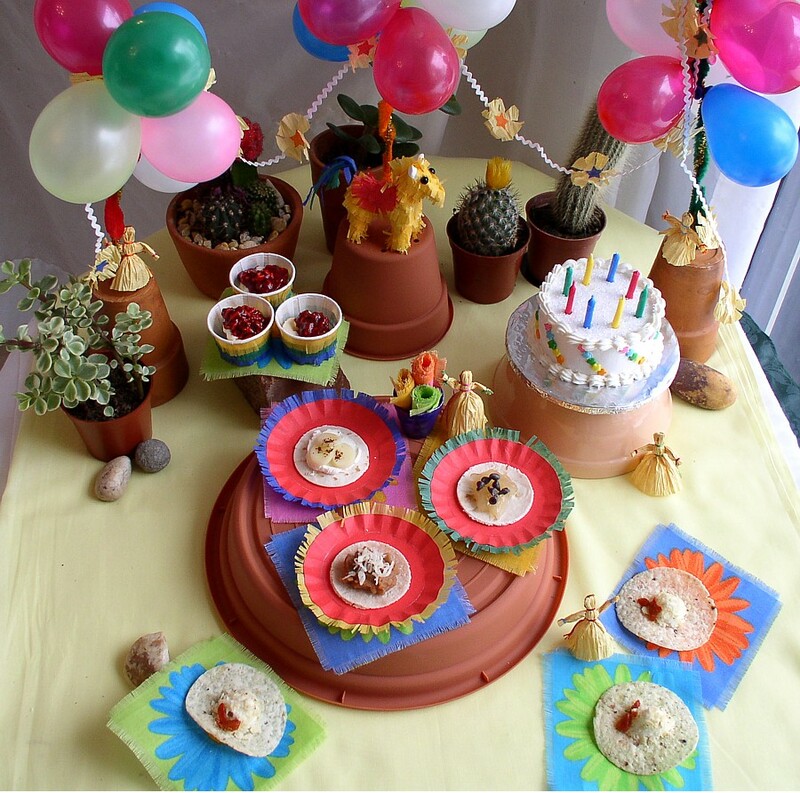 Host a doll-size Birthday Fiesta! This is one of the chapters that didn’t make the cut in Tiny Treats, a book I wrote in 2004. The centerpiece is a sweet little palm-sized pinata filled with real candy and plenty of delicious treats. Try the Three Teeny Quesadillas if you please or the Spicy Sombreros for a tiny treat. 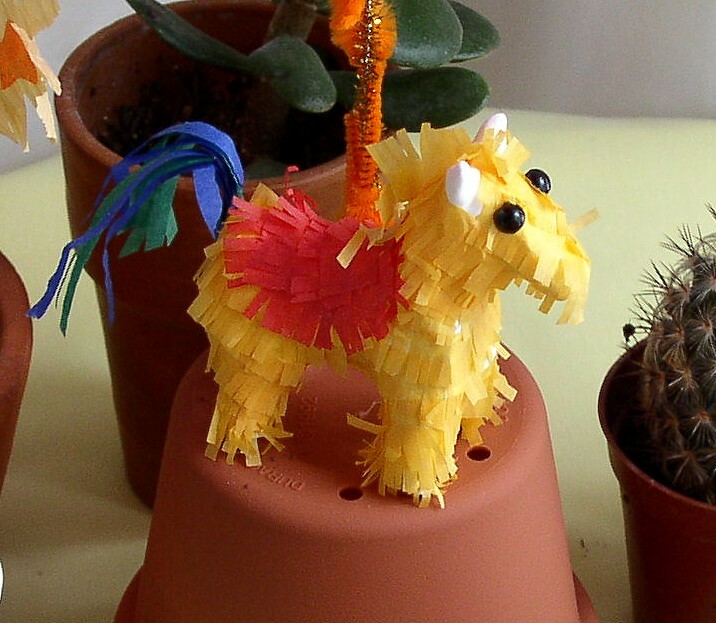 Use mini pinatas as place card holders or decorations on the table. For simple directions, see below. For the Quesadillas, simply cut flour tortillas with a small round cookie cutter. Top with Beanie – refried beans and grated cheese, Cheesy – cream cheese with little slices of string cheese, sprinkled with paprika, or Sweetsie topping – apple pie filling with mini chocolate chips. For the Spicy Sombreros, mix a little chili powder into cream cheese. Spread the cream cheese mixture in a little mound in the center of a round tortilla chip to make a hat. Sprinkle crushed corn chip crumbs over the cream cheese. Decorate with Pimientos. 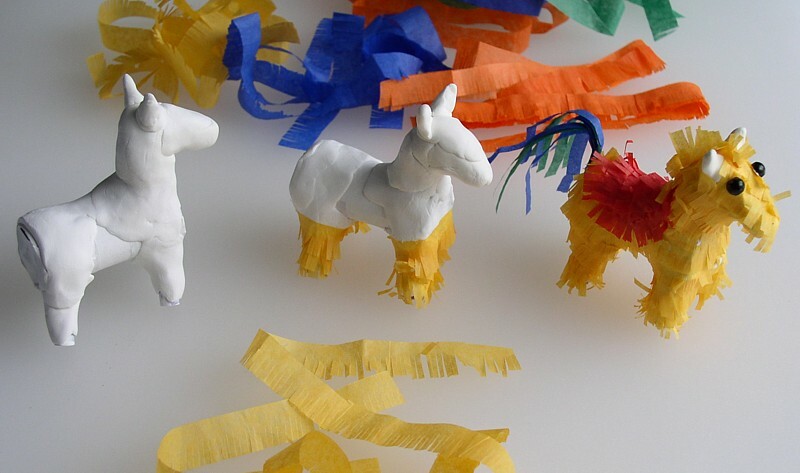 Here are steps to make a Miniature Pinata. Step 1: Cut a toilet paper tube in half lengthwise. Cut a 2” section from one of those pieces. Roll it into a tube to make the body and tape it. Prepare candy-filled tube. Add straw “legs”. Punch 4 holes on one side of the tube for the legs. Insert the pieces of straw for legs. 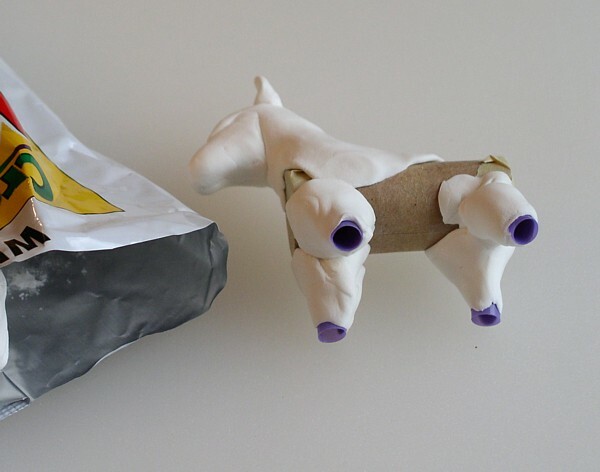 Before inserting the back legs, add small candies to the tube. Cover the ends of the tube with masking tape. 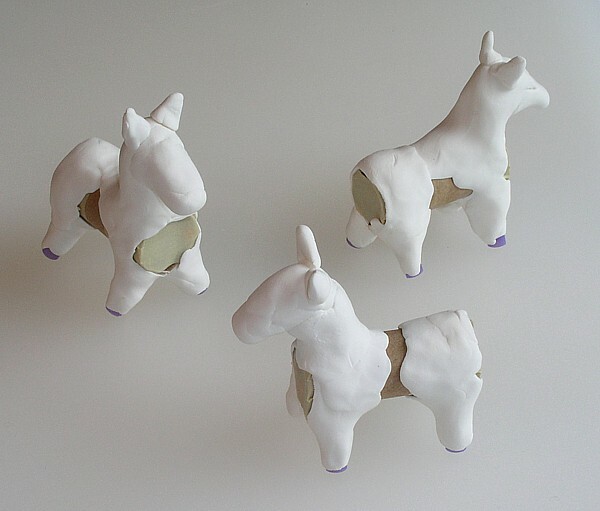 Step 2: Use Crayola Model Magic to form the neck and head of a donkey or horse. Add more Model Magic to make the legs thicker. Let dry overnight. Step 3: Paint the piñata white. Let dry. Step 4: Cut fringe from the tissue paper strips. 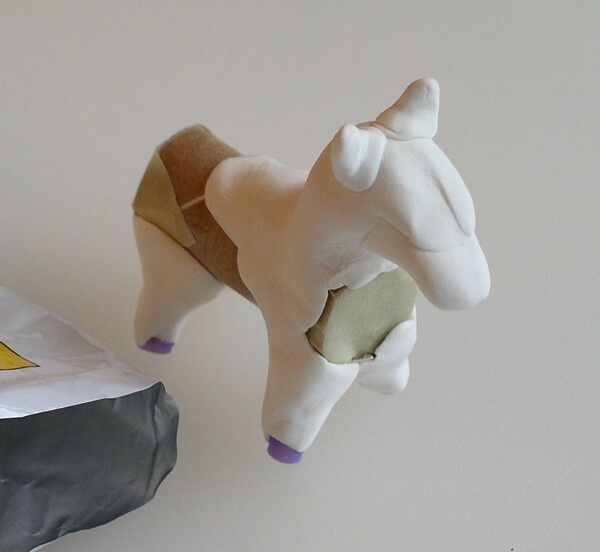 Spread the legs with glue and wrap them with the tissue fringe, starting from the bottom and working your way up. 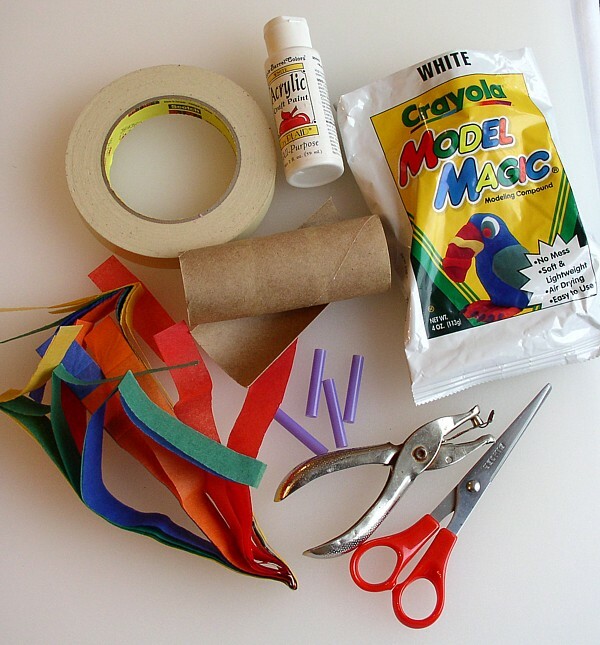 Glue on more pieces of tissue paper fringe and crumpled tissue paper as desired to cover the whole pinata. Glue on a tissue paper tale. Add two black beads for eyes. 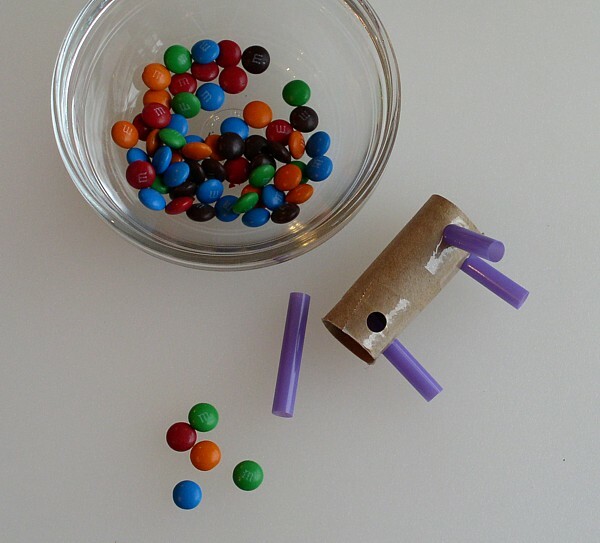 To remove candy from pinata, pull tissue and tape off one end of the tube.